Hi there, my darlings! Ready for another REVEAL? Man, I can't even begin to tell you how much fun I'm having with these reveals! 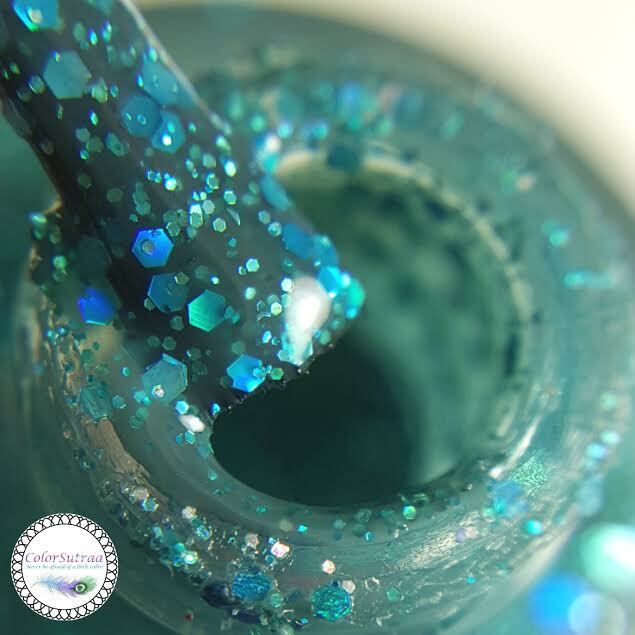 It's so interesting to me to see which ones a maker chooses from the plethora of polishes she creates! 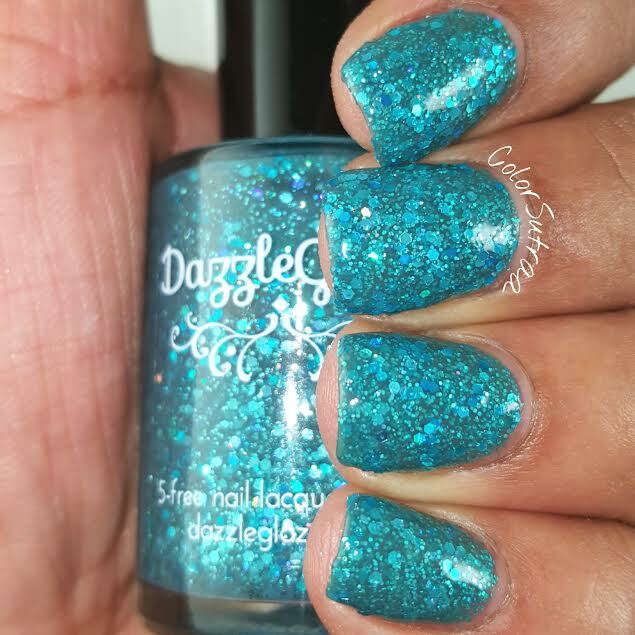 Next up, Dazzle Glaze's picks for Fave Creations of 2015! 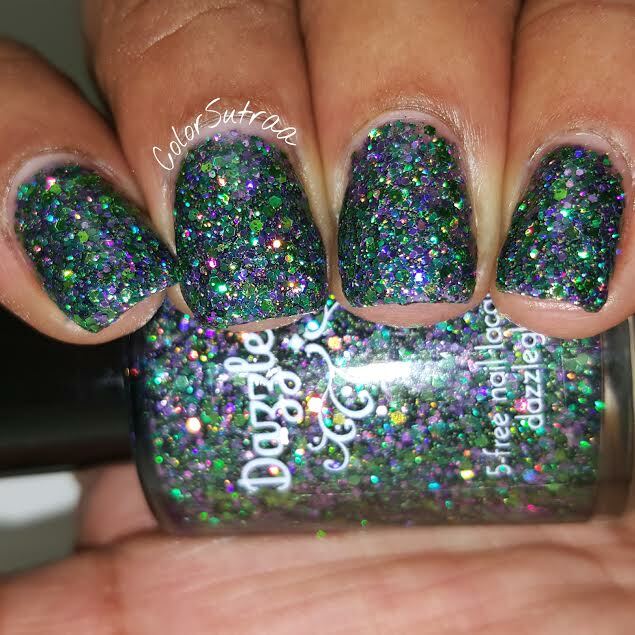 All Night Glow Stick is described as a "deep purple jelly base that's full of green and purple metallic and holo glitters." 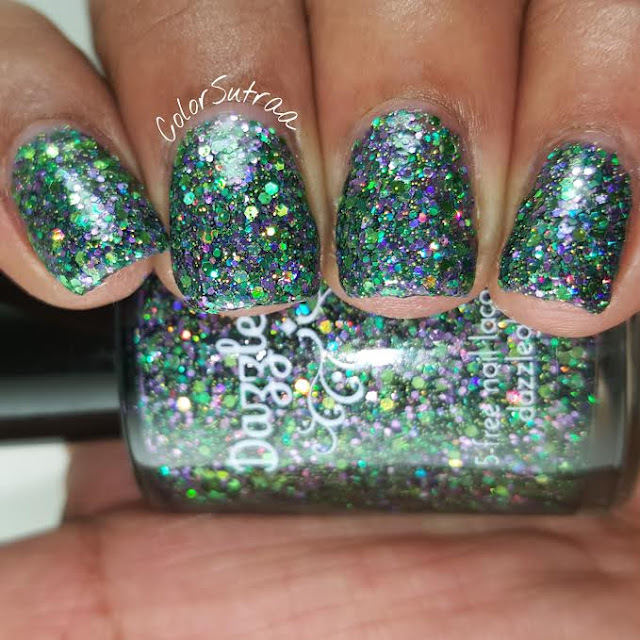 This polish has a lot going on with it and is absolutely PACKED with glitters but I found formula and application to be fairly easy--a little thick but if you wait til your base layer is completely dry, the next coats go one much easier. 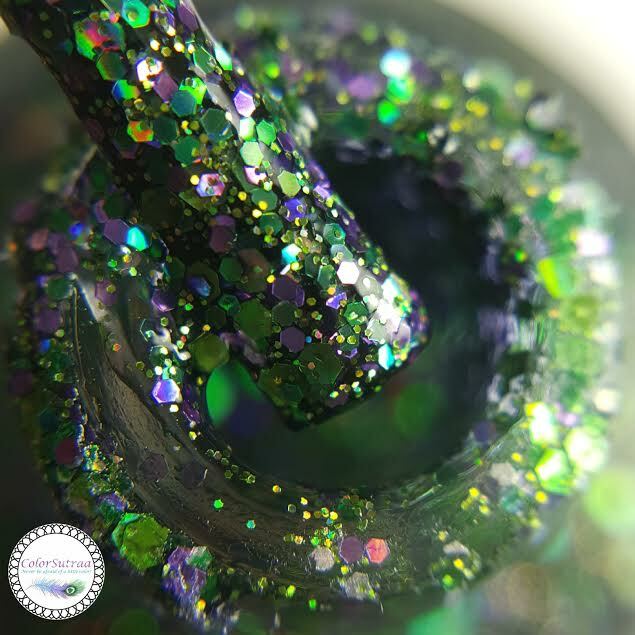 The swatches below show 2 coats, topped with 2 generous coats of Glisten & Glow's HK Girl topcoat. I really like the interplay of the green and purple! 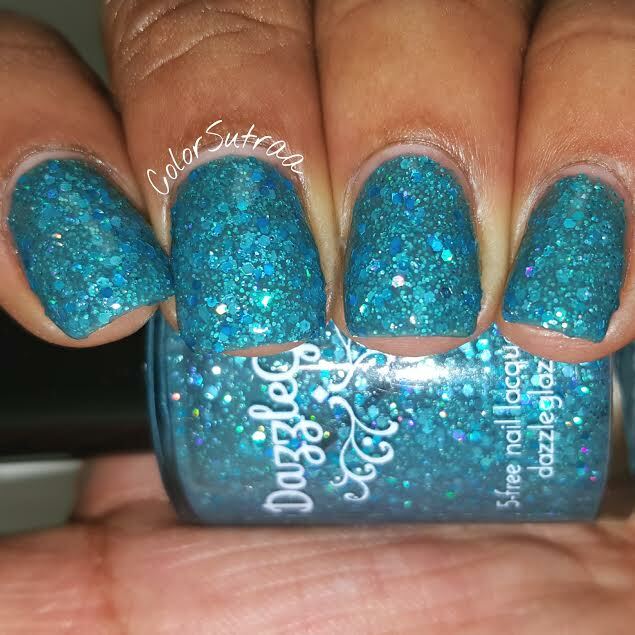 Tube Top Weather is described as a "greenish-blue jelly base that's PACKED with blue and turquoise holographic glitter in several shapes and size." 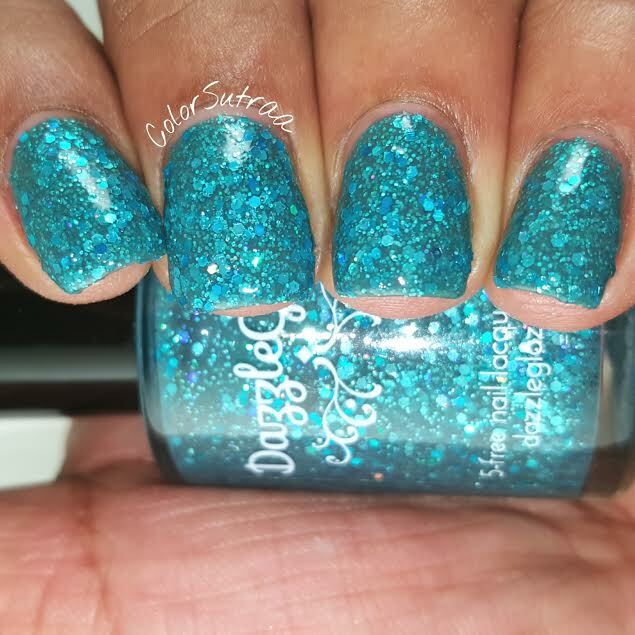 yes, this polish is PACKED with glitters too but I found the formula and application to be just lovely--such a buttery smooth jelly! The swatches below show 3 thin coats, topped with 2 generous coats of Glisten & Glow's HK Girl topcoat. Is it green? Is it blue? Is it teal? I couldn't for the life of me definitely decide but I know one thing--this polish is stunning and everyone should have it! So there you have it, my darlings! 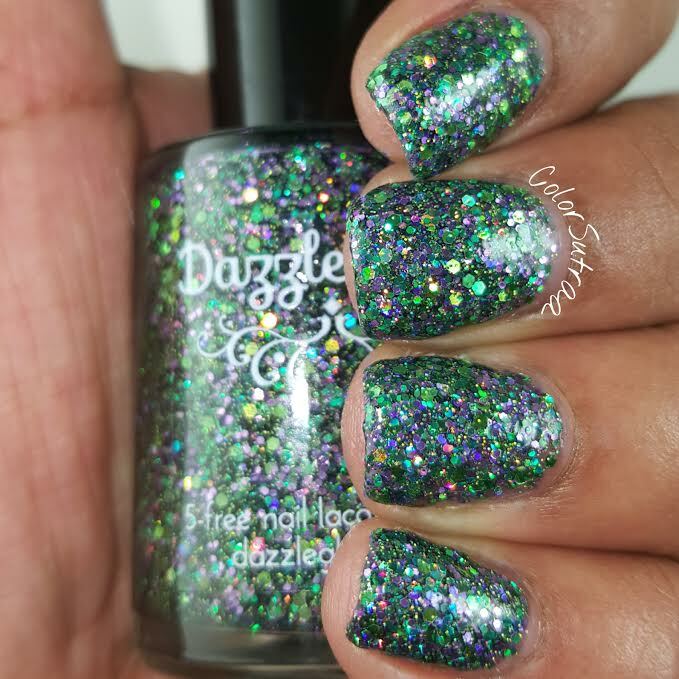 Both these beauties are still available on Dazzle Glaze's website HERE for the price of $9.50 for a full-size, 15 mL bottle. Do you like Candace's choices? Which of the two are your fave? I would love to hear from you in the comments section below!